Having moved north from Miami just a few months before, detective Greg Lamont walks in on a murder scene that hits home. When last he’d seen the victim’s face, it had been contorted with fury. Later, in the dark, they had made love with savage intensity. . . and the next day she was gone. Greg had always known she was trouble; now he’s on the hunt for her killer.His partner, detective Andi Battaglia, is also a recent transfer to the Burgess Beach Police. She had moved from Tampa in an attempt to escape her past but soon discovers that her past has followed her even here. 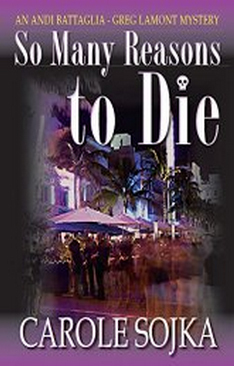 Despite, or because of, their personal lives, the two detectives soon find themselves drawn into the heart of Miami’s blazing hot South Beach nightclub scene, intent on unraveling the complicated life of an enigmatic woman and finding her killer–whatever the cost.